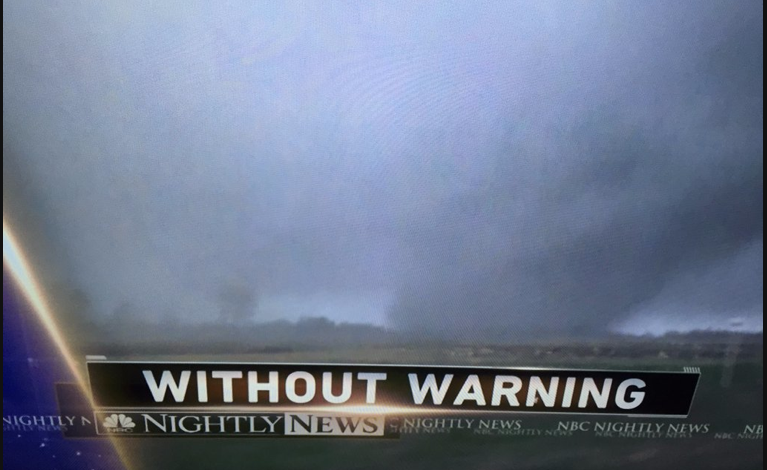 This is a screen capture from this evening's NBC Nightly News alleging again -- and, falsely, that yesterday's tornadoes occurred "without warning." I cover this topic, too, in my speech to the American Meteorological Society (scroll down). It is time for meteorologists to stop grip about this and to start doing something about it. The link to my talk is here.